There is only one change in this version: in addition to the predefined icons we added in the last version, you can now set your own image for extension's icon (from your hard drive). Soon after our last update (when we added the option to select between different colors for the icon), one user wrote us to ask for such a feature (because none of our icons happened to fit with his theme and he wanted to use his own icon). It took us some time, but finally we have it. 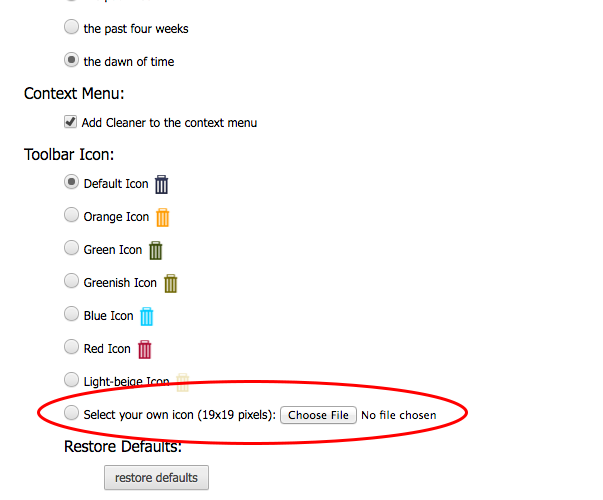 In case you want to set your own icon, just go to the options page and load your own image. Note that image should be 19x19 pixels (bigger pictures will not work well -- only the top/left 19 pixels will be used). If you load proper image, you should see the toolbar icon changed immediately. If something is wrong: just choose another image or select one of the predefined icons. 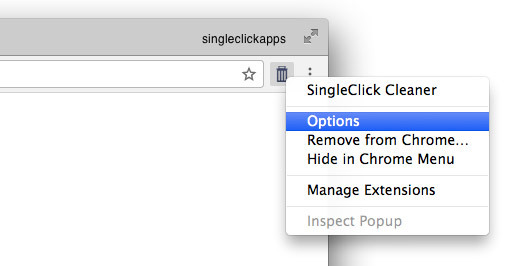 Control on your browsing history: disable and enable history recording with single click. That's great addition for your browser if you want to keep (some of) your browsing history for yourself.